Drink your sun protection! How cool is that? Are you catching too many rays? Playful summers or sunny fall spent in a lazy daze can make caring for the skin (largest organ in the body) seems like hard work. But whether you’re soaking up the sun, catching waves or just running or walking in the park, ultraviolet radiation (UVR) can do damage. Sun damage can cause photoaging, resulting in saggy skin, spots and deep wrinkles that no amount of pricey makeup will cover. 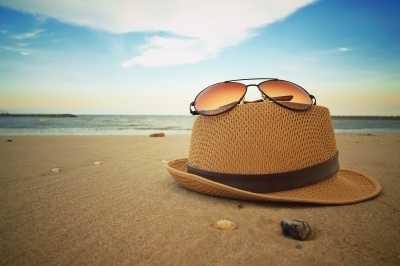 The good news is, that most cases of skin cancer are curable if detected at an early stage. But you should not wait for the problem. You can protect yourself from the dangers of UV light the most preventable risk factor for all skin cancers “The American Academy of Dermatology encourages everyone to protect their skin from the sun’s harmful UV rays by seeking shade, wearing protective clothing and using a sunscreen with a Sun Protection Factor of 30 or higher.” You can also welcome to add a new innovative approach to your regimen. You probably read many times, that you have to drink water to protect your skin from dehydration and aging. But did you know, that you can drink a healthy new supplement to help protect and repair your skin from UV damage? Southern California-based dermatologist Bobby Awadalla, MD, has formulated UVO, the world's first drinkable sun protective supplement. The innovative formula of 30+ vitamins, phytonutrients, and antioxidants helps protect and repair your skin from sun damage and comes in a ready-to-drink bottle as well as a powder pack drink mix. UVO’s scientifically proven ingredients work from the inside out making it an easy, convenient and tasty way to healthy skin. Dr. Awadalla recommends that you drink UVO 30 minutes before sun exposure to get 3-5 hours of supplemental sun protection from head to toe, including your eyes. You can also drink UVO after overexposure to the sun to help skin recovery or as a daily supplement to repair years of sun damage. With its anti-aging benefits, UVO can help beautify the skin and promote overall health and wellness. UVO’s synergistic formula combines more than 30 powerful vitamins, phytonutrients, and antioxidants that are scientifically proven in peer-reviewed studies to protect the skin from the sun’s harmful UV rays. Whereas topical sunscreens protect the skin on the outside, UVO’s innovative formula is designed to work from the inside out. UVO helps block both UVA and UVB rays from damaging the skin but does so using natural pigments obtained from phytonutrients to absorb the rays. UVO also amplifies your body’s natural ability to protect and repair DNA, cell membranes, and collagen all the while promoting healthy skin function. UVO has antioxidants and anti-inflammatories that continue to work hours after overexposure to the sun to help the skin recover more quickly and alleviate irritation from the inside out. In addition, drinking UVO regularly helps repair and beautify your skin providing anti-aging benefits using these same mechanisms. “Despite mainstream thinking, our bodies have natural protective and reparative mechanisms in place to protect ourselves from a certain level of sun exposure,” says Dr. Awadalla. “We have many internal mechanisms that protect our skin from UV radiation, but they get depleted over time or get overwhelmed by excessive sun exposure. With proper supplementation, we can help strengthen this natural protection as well as add extra protection with plant-based phytonutrients. 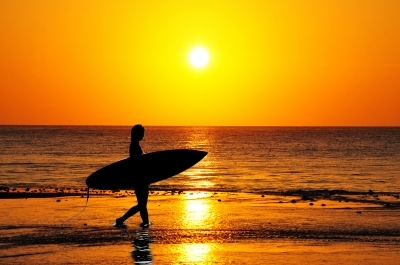 In UVO’s first round of clinical trials, results showed a significant increase in the UVB radiation required to create sunburn after drinking UVO (compared to the level of UVB radiation required to create sunburn without drinking the supplement), which lasted between 3-5 hours depending on skin type. This proof-of-concept study confirms the findings of many scientific studies from medical journals documenting the effectiveness of the ingredients in UVO to help protect and repair the skin Additional clinical studies of UVO are underway. As UVO provides added protection from the inside out, it is the perfect complement to your existing sun protection regimen that should include sunscreen, sunglasses, hats, long-sleeved shirts, umbrellas, and limiting time in the sun during peak hours. - how cool is that? UVO is a revolutionary dermatologist developed vitamin supplement specifically formulated to protect and repair your skin from sun damage. UVO’s scientifically proven ingredients work from the inside out making it a healthy, easy, convenient and tasty way to healthy skin. Drink UVO (1) before sun exposure for 3-5 hours of supplemental sun protection from head to toe including your eyes, (2) after overexposure to the sun to help soothe the skin, and (3) daily to repair years of sun damage, provide anti-aging benefits, beautify the skin and promote overall health and wellness. UVO was made for everyone that is exposed to the sun especially those with an active outdoor lifestyle. Bobby Awadalla, MD, is a Board-Certified Dermatologist and belongs to The American Academy of Dermatology, The American Society for Dermatologic Surgery, and The American College of Mohs Surgery. He earned his medical degree with honors from Drexel University College of Medicine and went on to become chief resident at Virginia Commonwealth University. Dr. Awadalla honed his skills in Mohs micrographic surgery, a tissue-sparing skin cancer removal and facial reconstruction procedure, and other cosmetic dermatology procedures as a fellow at Methodist Hospital/Weill Medical College of Cornell University in Houston. He has also published numerous papers in the field of dermatology. 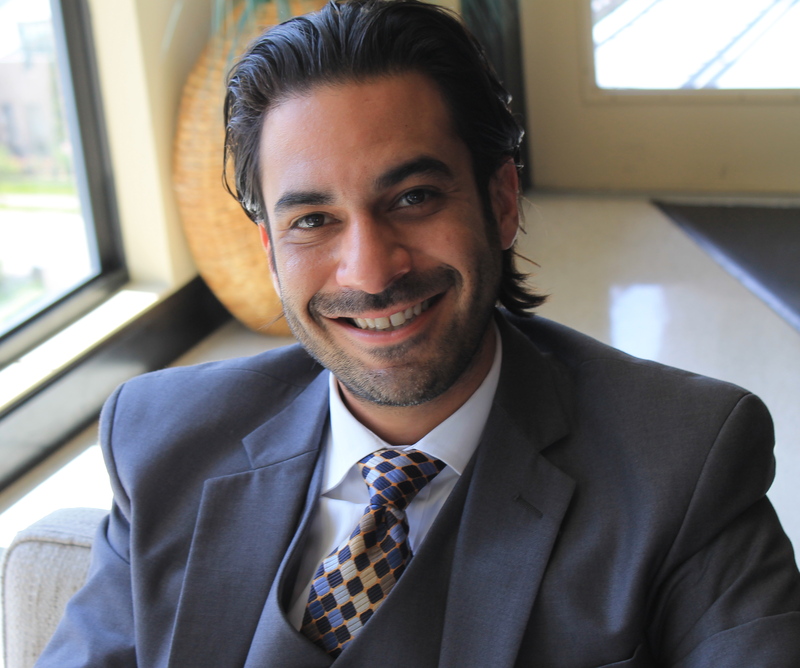 Dr. Awadalla currently practices at Coast Dermatology & Laser Surgery Center in Laguna Beach, CA. *The information available on ewellnessmag.com, including text, graphics, and other materials is for informational purposes only. Reliance on any information in ewellnessmag.com is at the user's own risk. Sponsored product placement may appear in the article. The visitor of this website acknowledges that the information available on or through ewellnessmag.com is not and does not intend to be a substitute for professional medical advice. Copyright © 2016 Brawo Press, Inc. All rights reserved.